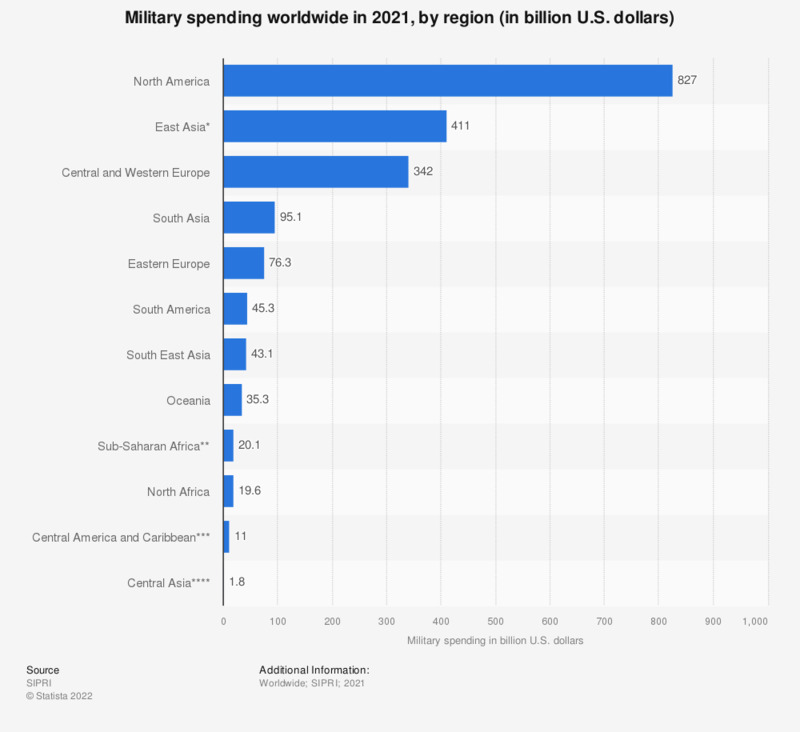 The statistic shows the military spending by world region in 2017. In 2017, the military spending of Central America / Caribbean amounted to 7.6 billion U.S. dollars. Data for Middle East is not available for year 2017.